After another successful season for FMPGC, thoughts now turn to the main event for 2016 – the World Pilot Gig Championships in the Isles of Scilly. The club is aiming to field as many crews as possible. Before winter training begins we need to get an idea of the numbers of people who would like to go or are at least thinking about going to Scilly next year. If you could please indicate your interest by filling out the form below we’d really appreciate it. For anyone new to the club, we’ll also be holding an information evening so you can find out more about the championships. It doesn’t matter how experienced you are as all abilities take part and there’s a good 7 months to develop your rowing. Once we have an idea of numbers interested we’ll then be in touch regarding winter training and selection. Please give us your full name so we know who you are! 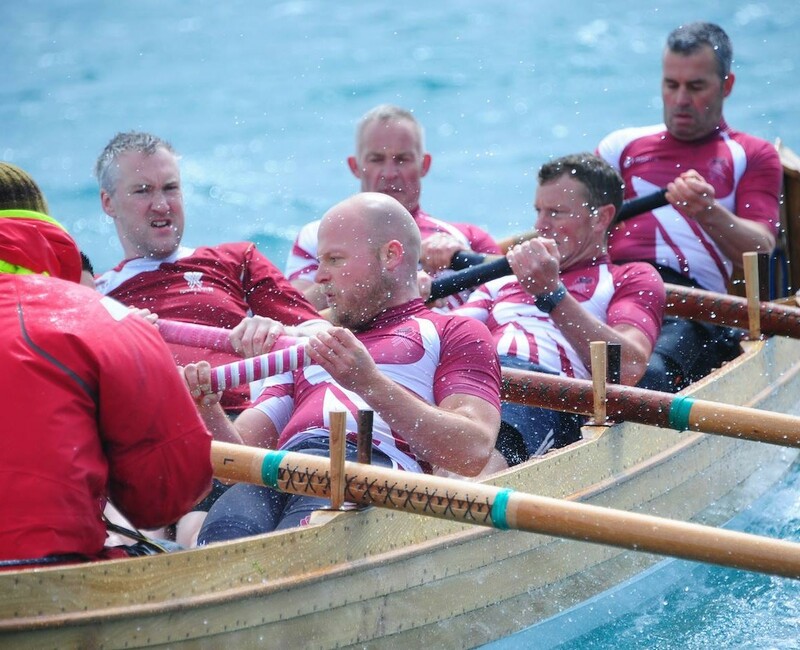 Would you like to row in Scilly next year? What crew would you like to row in (you can select more than one option)? A Crew B Crew Vets Crew SuperVets Crew Any Crew That Will Have Me! How often are you willing to train? 7+ sessions a week 3-5 sessions a week 1-2 a week We have to train?!? Flushing & Mylor Pilot Gig Club want YOU to row in the Scilly Championships next year Yes…You! You could be part of this spectacular regional event. If you can row a gig for 20 minutes, then you can enjoy competing in this amazing weekend. I haven’t been rowing for long, would I be capable of rowing at Scilly? The open event, which includes anyone over 16 (so the vets and supervets can row all weekend too if they want to), takes place on the Saturday and Sunday and there are four races, one long and two short (times are very approximately 20 minutes and 14 minutes, depending on weather conditions and crew ability), two on each day. If you can row a gig for twenty minutes in our training sessions, you will definitely be able to compete. There is one race of about 20 minutes on the Friday evening for Vet (over 40) or Supervet (over 50) rowers, so you could just race in this one and then party all weekend! Are the waters more challenging over there? The Isles of Scilly are a collection of many many islands and rocky outcrops which create a relatively safe body of water on which to race. Whatever the wind direction, there are land masses in the way, meaning large waves tend not to reach the course. The harbour is a very sheltered area for launching. There are plenty of safety boats on the course, and gigs are inherently seaworthy craft. There are plenty of novice crews who take part successfully each year. If you are a novice crew your cox will be responsible for deciding whether you race on the day or not. It is very rare for the conditions to be dangerous. The main cause for abandoning racing is fog and I have known this to happen only once in the last 10 years. I have never raced before! Is this a good place to start? Lots of people have their first race at Scilly. It is an ideal place as there are so many crews of so many abilities you are guaranteed to have someone to race against. The competition is based on one longer race with all the boats on the start line at once (!) to find initial positions, and then 3 smaller races which are all run as heats of 12 boats each. If you win your heat in the last race, you all get medals! I am really keen to be in a good race crew, how do I go about it? Congratulations, you are already a part of a gig club with one of the best training programmes and some really competitive rowers. Just tell the selectors that you are interested in joining a race crew and they will give you any info you need. Our top crews make a big commitment to training and team building. The other race crews usually also train hard, but not quite as often as a rule, it all depends on who is interested. Some years we also have a competitive C crew. I just want to have a fun row, is that possible? Yes! We have often had crews going to Scilly whose main goal is to enjoy themselves. You can make up a fun or novice crew and not need to be selected. The club has a policy of giving selected racing crews priority when allocating boats but we have 3 wood boats available to go, so there are usually enough. If a boat is unavailable, you can try to borrow one from another club which we have successfully managed to do in the past. It depends! If you get the ferry out on the Friday and home again on the Monday and either camp or stay in the Town hall, then you can keep the costs down. Camping – The Garrison on St Mary’s cost £38 for 3 nights per person (2015). Boat fees – the club charges rowers and coxes to cover the cost of sending boats to the islands, this is usually £5 per race, so if you row the weekend it would cost you £20. So, at minimum it would cost you about £160. From there, the sky’s the limit. You can book a hotel, spend a week in a flat or cottage, or even stay on a sailing boat. The average cost per person is probably about £400 for those staying longer than just the weekend. Lots of people book self-catering, even if they don’t end up staying all week. Bring your family, it’s a great place for a holiday. How can I get somewhere to stay? I’ve heard it gets totally booked up. The campsite takes bookings from the beginning of October, so if you are keen, book that up now. You can usually pass it on to someone else nearer the time if you subsequently find somewhere with a roof. Contact the Tourist Information Centre on Scilly, they have details of accommodation which becomes free. You might need to keep ringing them for updates. Persistence pays off. Ask around the gig clubs, many people re-book their accommodation year on year and may have beds spare or may not be going this year and so could pass the booking on to you. As it gets nearer to the championships, people relinquish their reservations and so there are always places coming free nearer to the time, you need to hold your nerve. I have never yet known anyone unable to go due to lack of accommodation. Don’t forget to try the off islands too as there are regular ferries. I can’t get time off work or college, can I go for just the bank holiday weekend? Yes. Many people do just the 3 days. You can travel over on the Saturday morning, the ferry gets in in time for the first race, and you can leave on the Monday ferries (there are two sailings) There are plenty of flights too. However, these are the busiest travel times, so it is best to book as early as possible. The only problem with this short visit is that you are more at the mercy of the weather. It has been fairly common for flights to be delayed due to fog. The boat tends to run in most conditions, so is your best bet for reliability. Delayed flights have caused many a frayed nerve, but the company are fantastic about doing all they can and it is rare that anyone misses a race. Book your travel, the steamship company are very flexible and you can change your sailing or flight time quite easily.